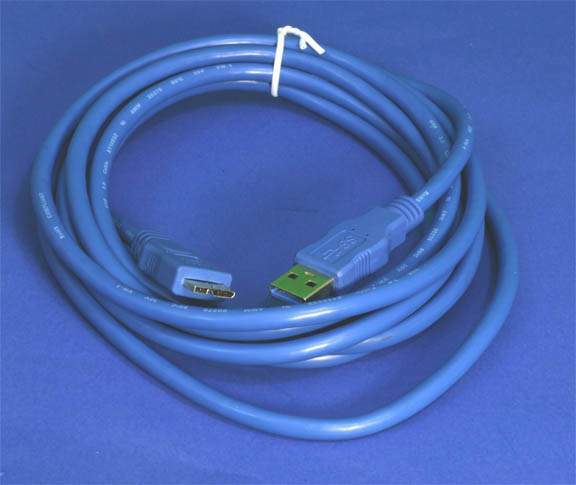 Used to Connect many Super-Speed USB 3.0 Portable Devices to the USB on computers. Allows Transfer Rated up to 5Gbps with better power efficiency. This cable has a standard USB 3.0 A Connector on one Side and a Micro-B 3.0 on the Other Cable. NOTE: Cable can be plugged into a USB 2.0 A-Port but will only operate then in 2.0 High Speed Mode.